Perfect for Earth Day on April 22, but important for teaching evironmental lessons year around! 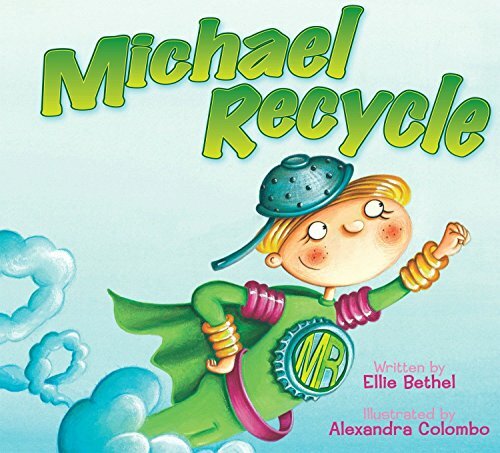 Michael Recycle tells the adventures of a young superhero whose power allows him to teach people about recycling. To grow rotten and slimy. The air was all hazy. But the people did nothing. But the townspeople are called to attention when a streak of green crash-lands in the town dump! It’s not a bird, nor a plane, but a new kind of superhero—Michael Recycle, who has a plan to save Abberdoo-Rimey. . . and the world!